Susan's Disney Family: Pup-arazzi Pics of Playful Pups! Pup-arazzi Pics of Playful Pups! 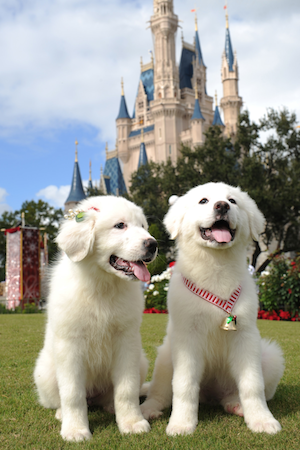 I would love to be there in the magic kingdom with these lucky pups! 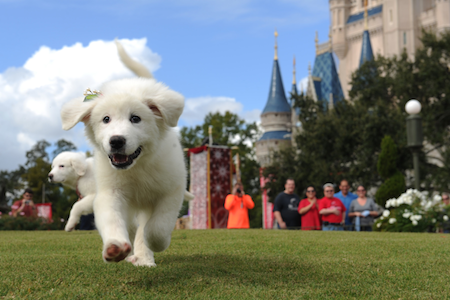 'Pup Stars' Jingle and Charity were seen frolicking in the Rose Garden at Walt Disney World during the filming of the annual Disney Parks Christmas Day Parade! The stars of Santa Paws 2: The Santa Pups will help 'deck the paws' with a special appearance during the parade which airs December 25 on ABC Television Network. Local pup-arrazzi snapped the brother and sister enjoying a moment of play between takes. Santa Paws 2: The Santa Pups is now available on Blu-ray combo pack and digital platforms. I have to get this for the kids. Makes a great stocking stuffer.